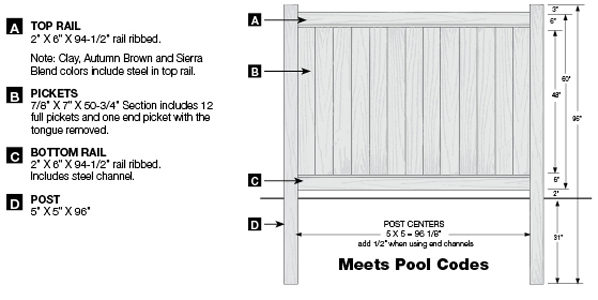 Bufftech Chesterfield fences are approved for most pool codes and are strong in high-wind conditions. 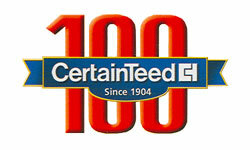 CertainTeed backs all Bufftech fence with a lifetime limited warranty and exclusive SureStart protection, covering warrantied repair and replacement costs for five years after installation. 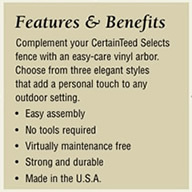 While most competitors sell a 6' privacy fence panel, CertainTeed's line of Bufftech Chesterfield fencing comes in 8' sections which saves you money and time during installation. 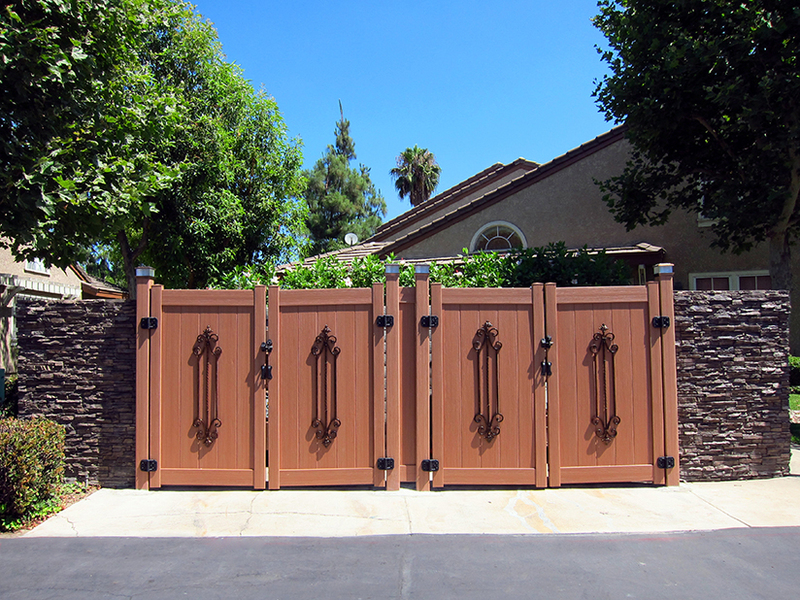 All CertaGrain Chesterfield fences are also tested to withstand winds and have trademarked ColorLast protection to stand up to long periods of intense UV radiation. Chesterfield CertaGrain is even designed to have the look and texture of wood with virtually no maintenance. 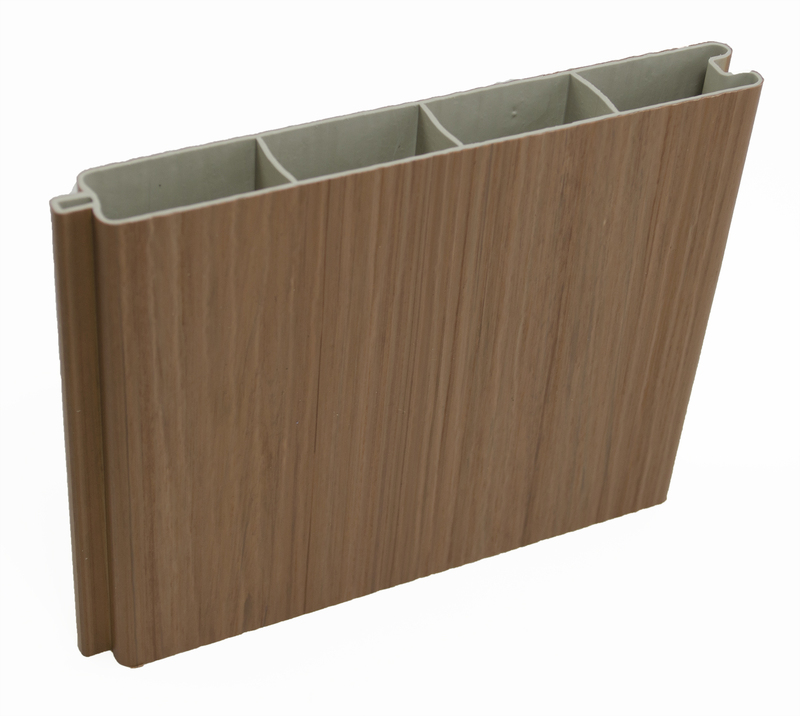 Each vinyl fence section is also reinforced with a steel bottom rail. What does all this mean for you? 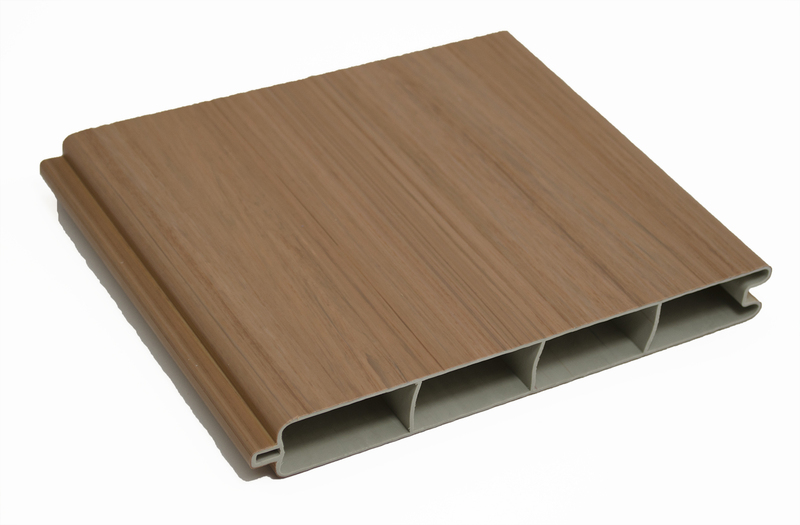 These Sierra Blend vinyl fences by Bufftech are strong, affordable, easy to install, and guaranteed with parts and labor protection and a limited lifetime warranty so your investment lasts for years to come. Plus Sierra Blend is a phenomenal natural color for businesses and homes alike. Save money. Save time. Invest in your property. Choose a distinct style with natural beauty and no maintenance. 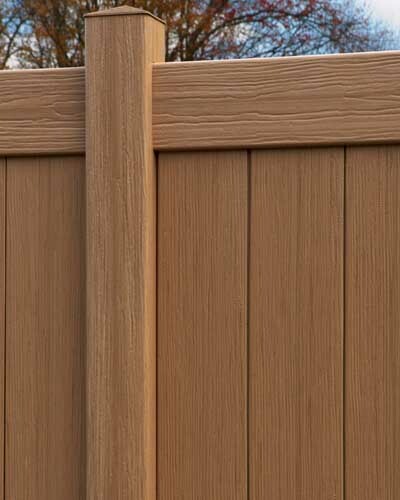 Order Bufftech vinyl fencing through Discount Fence today.